Sophisticated and newly constructed apartment in most happening area of Hyderabad city.This 3bedroom, living, en-suite bathroom feature a unique homely decor that exudes a cozy feel. 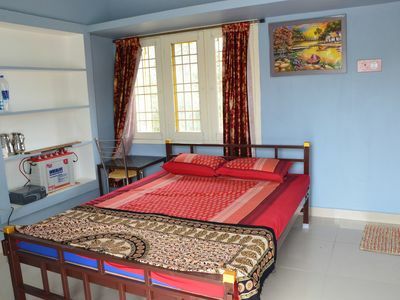 All the rooms are well equipped that one needs for a comfortable stay. My place is close to family-friendly activities, nightlife, and public transport. Youll love my place because of the neighbourhood, the comfy bed, and the light. My place is good for couples, solo adventurers, business travellers, and families. Prime Banjara features 12 fully furnished spacious &amp; luxury rooms (single/double occupancy) to cater all kind of accommodation requirements like individual rooms, 2/3 BHK's units. The spacious &amp; luxurious rooms are made in a modern style, providing guests with the ultimate in luxury. Each room combines the finest of furnishings with stylish settings and large spaces for you to relax in grand comfort. 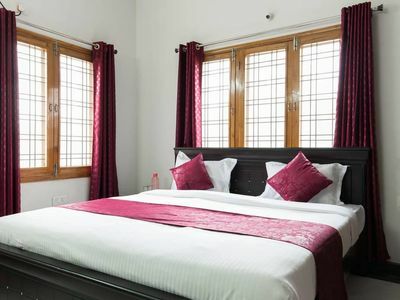 Alongside the luxury of the rooms, you have access to the best of modern amenities and lavish bathroom. The inn also offers car hire. City Centre Mall is 1.6 km from Prime Banjara, while Ravindra Bharathi is 3.6 km from the property. Rajiv Gandhi International Airport is 20 km away. Banjara Hills is a great choice for travellers interested in friendly locals, shopping and history.